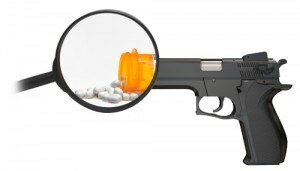 Researchers from the University of Copenhagen, Faculty of Health and Medical Sciences, and Nordic Cochrane Centre, Rigshospitalet, Copenhagen, Denmark have conducted a systematic review and meta-analysis of the relationship between antidepressant treatment and increases in suicidality and aggression. Their study, published in the British Medical Journal, was based on 64,381 pages of clinical reports reveals new information on harms - pharmaceutical antidepressant treatment actually doubles the risk for suicidality in children and adolescents. "We believe ours is the first comprehensive review of randomised controlled trial data using clinical study reports for aggressive behavior and akathisia, and our finding of the doubling of aggression in children and adolescents is novel." President Obama publicly declared war on Alzheimer’s disease in 2010. That’s when he signed a bill called the National Alzheimer’s Project Act (NAPA) into law. That created a huge nationwide task force of scientists and researchers. It was great PR for Obama. Bumped up his approval ratings for a little while. But actually curing the disease? That was NEVER part of their plan. And the results they’re getting aren’t simply better than prescription drugs – they’re in a whole different league. • One patient – a 69-year-old business owner named Tom – was getting so bad he couldn’t remember the names and faces of the people who worked for him. But what really set off the alarm bells was when he read 6 chapters of a book… before he realized he had just finished that same book a week ago. Brain scans showed clear evidence of Alzheimer’s disease. And things were getting rapidly worse. But just a few short months of the ICT protocol completely reversed his symptoms. His memory snapped back to life. He could recall the name and face of everyone he worked with without a second thought. Well, I’m afraid president Obama can’t let that happen. See, NAPA – like all Big Government’s “wars on disease” – was really just a handout to Big Pharma, plain and simple. You see, by creating programs like NAPA, the government gets to control the flow of money used for research. Then they funnel that money into research that they KNOW will never lead to a cure. Billions of dollars and decades of research into prescription Alzheimer’s drugs have completely FAILED to slow the disease, let alone cure it! TO CONTROL OUR DOCTORS,OUR GOVERNMENT,AND WALL STREET AND IN TURN CONTROL CONGRESS . acid), along with 400 IU vitamin E each day. Lithium at high doses is dangerous for the heart so take 5 to 10 mg at the most availabe at health food stores but lithium over 30 megs is available only on prescription. aLL THIS COSTS ABOUT $35.00 FOR A MONTHS SUPPLY.